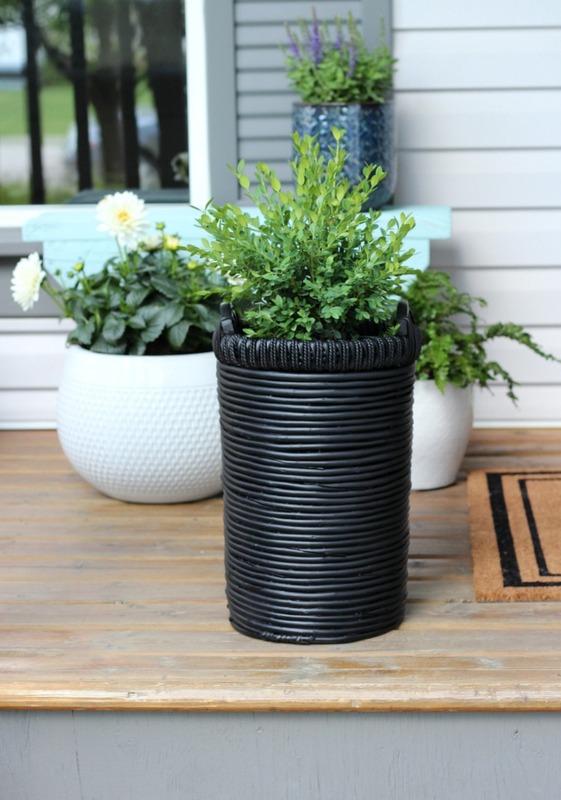 These outdoor planter ideas are a quick and easy way to add character and curb appeal to your front porch or back yard. Hello, friends! Are you enjoying your summer so far? Although I’m not posting as much as usual, I have been working hard behind the scenes on several projects I’ll be sharing with you soon. For those of you who have been asking about our front porch refresh, it’s well underway. Follow my Instagram stories to see those progress updates as they unfold. Rain and hail have been our biggest obstacles, but we should finish up today or tomorrow (fingers crossed). 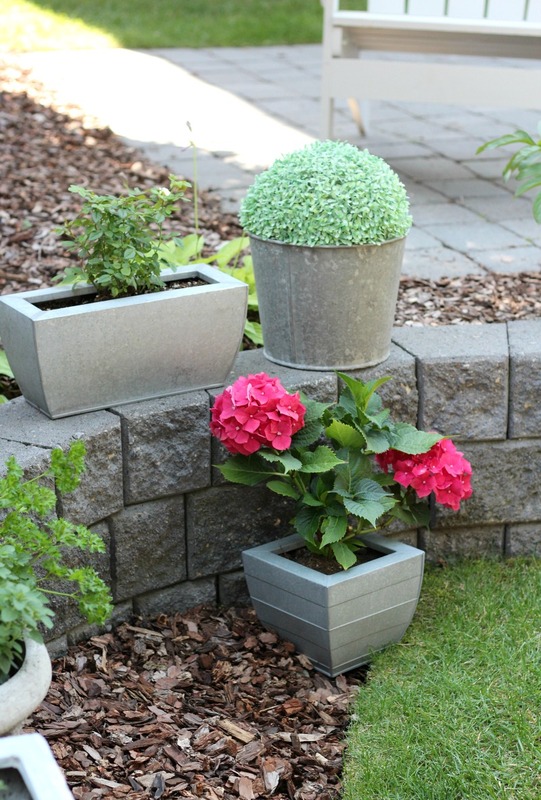 One of the easiest ways to update an outdoor space with very little effort is adding beautiful planters. 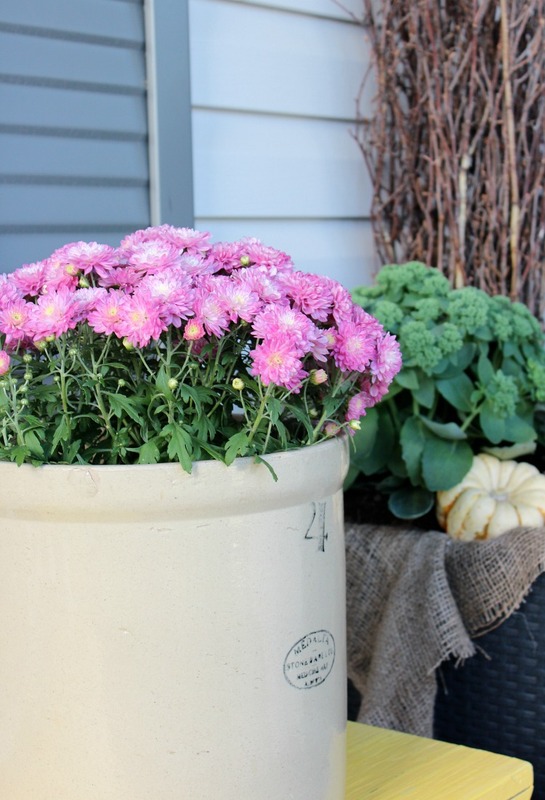 If your front porch or back yard is looking a little blah right now, pop by your local garden centre and pick up some inexpensive flowers and/or greenery to tie you through to fall. 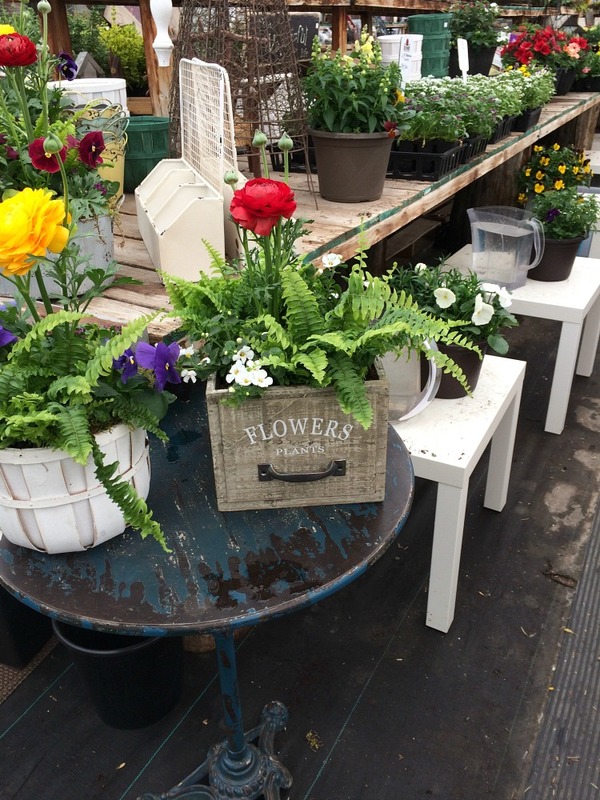 We have the cutest garden shop nearby called Red Barn Mercantile. I love their vintage and collected vibe, and always find the best ideas there. Boutique shops are some of the best places to gather inspiration, aren’t they? 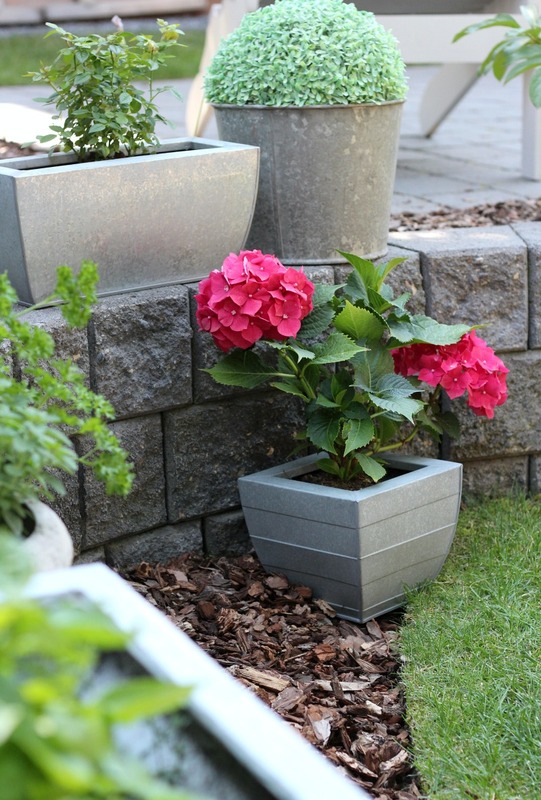 Of course, having the right planter can make or break the look of your outdoor space. Ditch the basic plastic pots flowers usually come in (or, rather, recycle) and transfer them to pretty boxes, tins, baskets or other decorative options instead. Look around your house to see what you may already have on hand, or stop by a thrift shop to pick up something inexpensive. It’s a good time to be creative! Earlier this spring, I spray painted an old basket to use as a planter for our front porch. I love the contrast of the black, as well as the unexpected use of a basket outdoors. 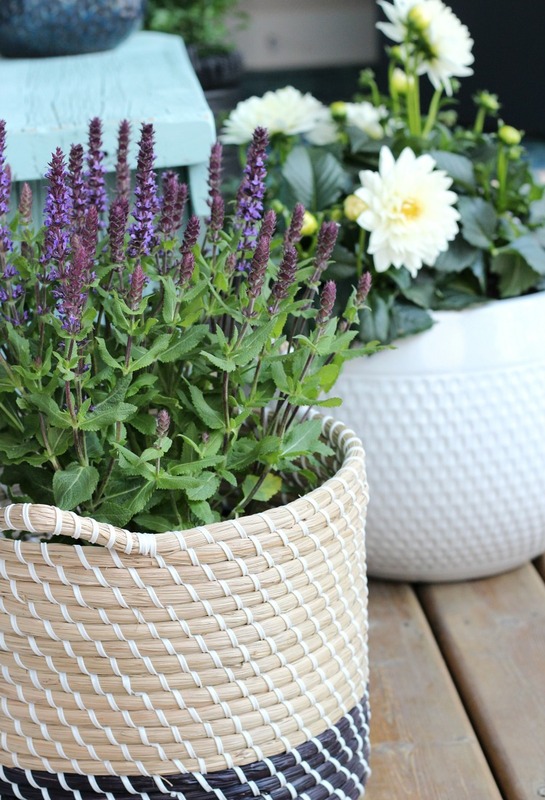 If your outdoor space is covered like our front porch, pretty much any basket will work. Use a plastic liner or plastic pot to protect the basket from moisture. A few years ago, I used a woven basket bag from my husband’s aunt to hold flowers on our front porch. You can read more about that lovely story here. 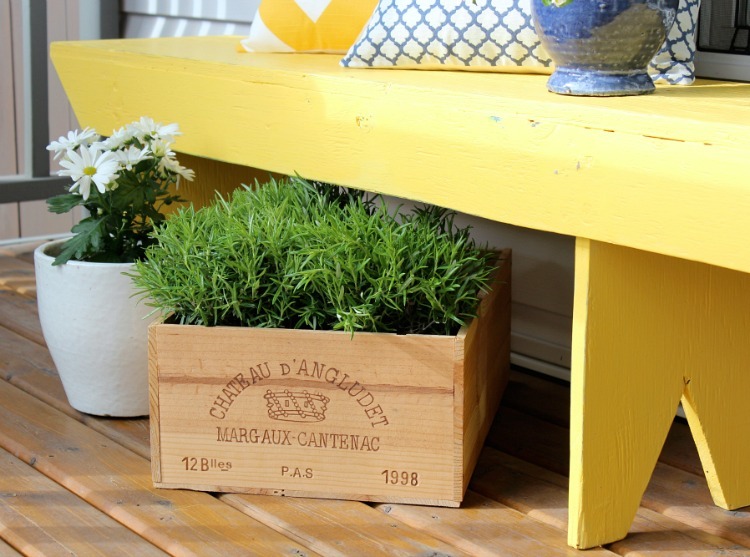 Another option for a summer planter is using a wine crate. To protect the wood, I like to keep the plants in pots to be able to pull out for watering. A similar idea is using a drawer. Of course, vintage are my favourite, but new ones are lovely too. If you’re handy, these could easily be built at home. 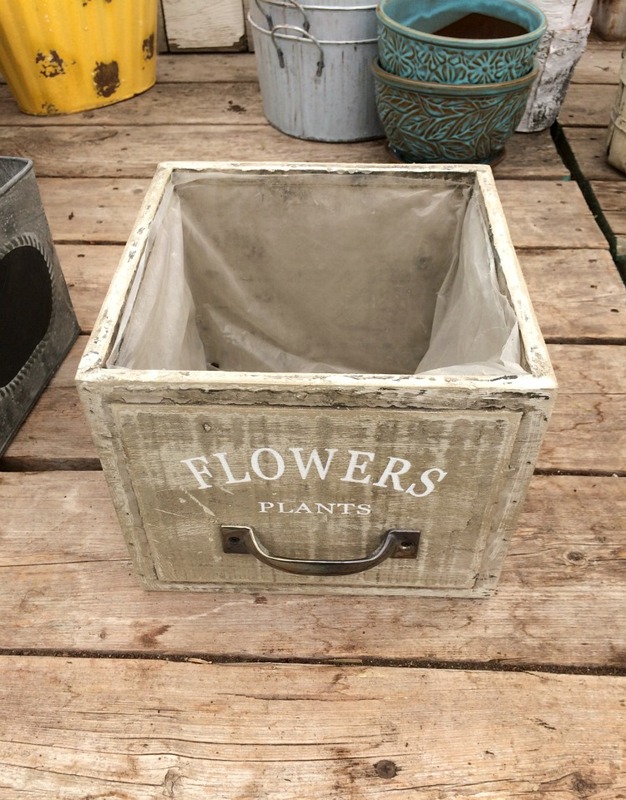 These vintage tool boxes turned planters were fun to put together. I’d love to get my hands on some larger ones for bigger impact outdoors. Speaking of vintage, why not use an old crock? 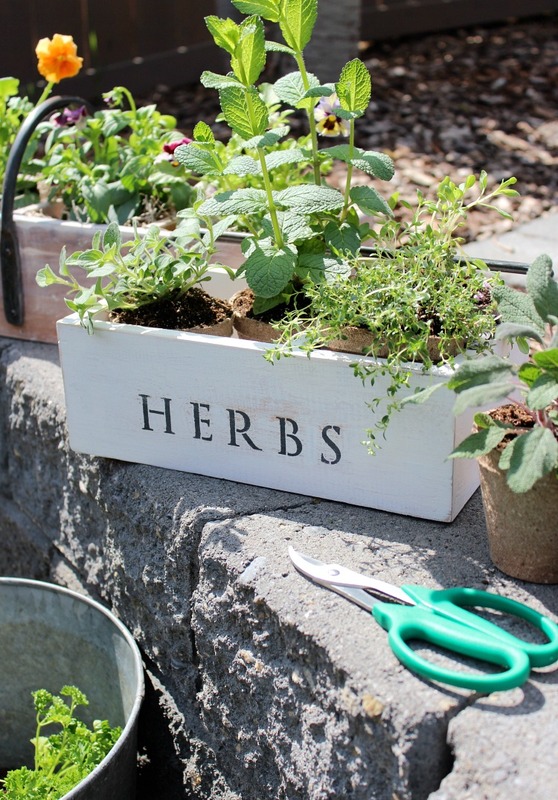 These make the best outdoor planters. Just remember to bring them in over the winter so they don’t crack. Place some potted plants in an apple basket for a farmhouse look. 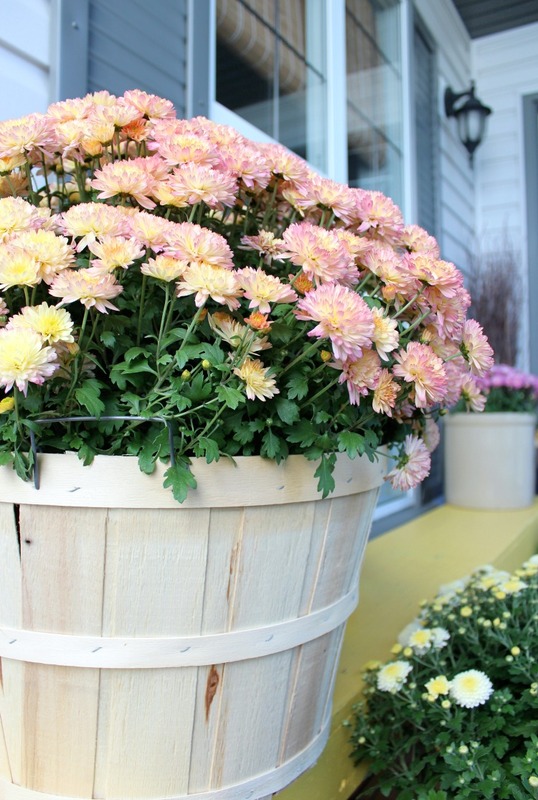 I love this look especially in the fall with garden mums. Have an old metal sap bucket? I’ve used mine as a planter many times and decided to add a faux boxwood sphere for something a little different (and lower maintenance) this time around. 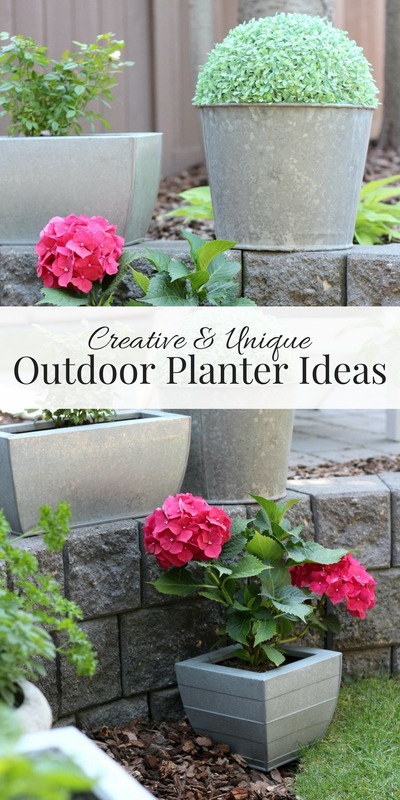 Mix with some galvanized planters filled with flowers. Isn’t this bright pink hydrangea pretty?